Big Brothers Big Sisters of Greater Miami and Mentoring Center, Inc. The mission of Big Brothers Big Sisters of America is to make a positive difference in the lives of children and youth, primarily through a professionally-supported One-To-One relationship. 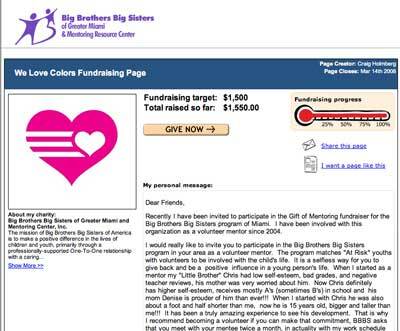 THANK YOU, We Love Colors and supporters for helping make a positive difference.